so many of us are finding it difficult to verify PayPal account in Nigeria.it is no doubt that paypal has finally come to stay and they accept Nigeria as part of the country that can make use of their online payment service.recently so many of us in Nigeria have created paypal account but still find it difficult to verify the paypal account which is the main thing to do after creating the account.i know you must have tried to use most of the Nigerian bank ATM like verve and inter switch but got an error from paypal that the card can not be used to verify your account.the problem is not really from PayPal but from the ATM card you are trying to add to your Nigeria paypal account.this is because they don't accept any other type of card like verve or interswitch,they only accept World wide accepted type of card that can be able to convert your currency into dollar equivalent and this type of card is mostly MASTER card and VISA card. guess you don't have an idea on where to get such card from, well, you don't have problem as most of the banks in Nigeria issued MASTER card and VISA card which you can use to add and verify your paypal account in nigeria. you can either try UBA AFRICARD, GTBANK NAIRA Master card, First Bank VISA Prepaid VISA CARD, ACCESS BANK Visa prepaid card etc.with these type of card, you can verify your paypal account in nigeria without problem. 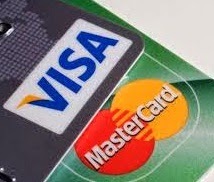 in fact i even prefer using most of the prepaid VISA or Master card issued by nigerian banks because they have their own separate account which is not connected to your main bank account.this is good for security reasons since it is an online platform and it is used for online transaction.anything could happen but not with your main bank account. 1 Responses to "What Type Of ATM Card Should I use To Verify My Paypal Account In Nigeria"